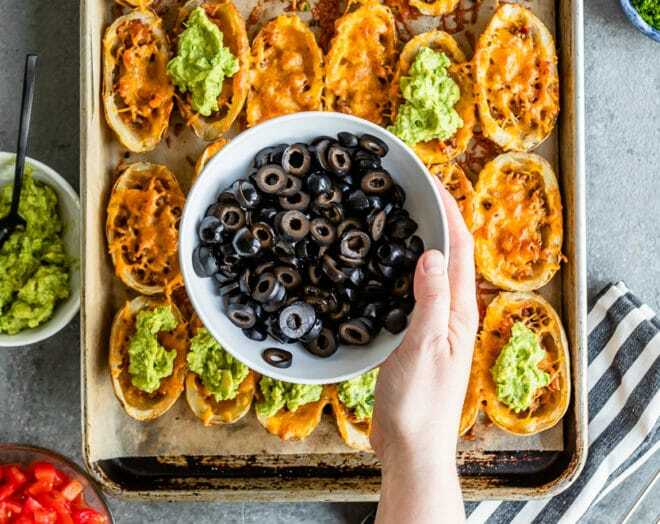 I teamed up with the California Ripe Olives to bring you this Baked Potato Skins Recipe. I’ve been compensated for my time. All opinions are mine alone. 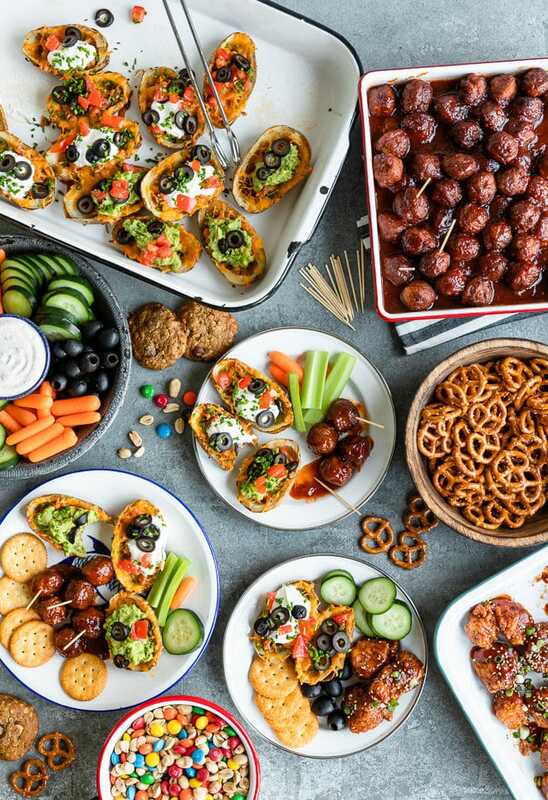 Hearty, delicious appetizers are essential to any party and especially your Game Day spread. 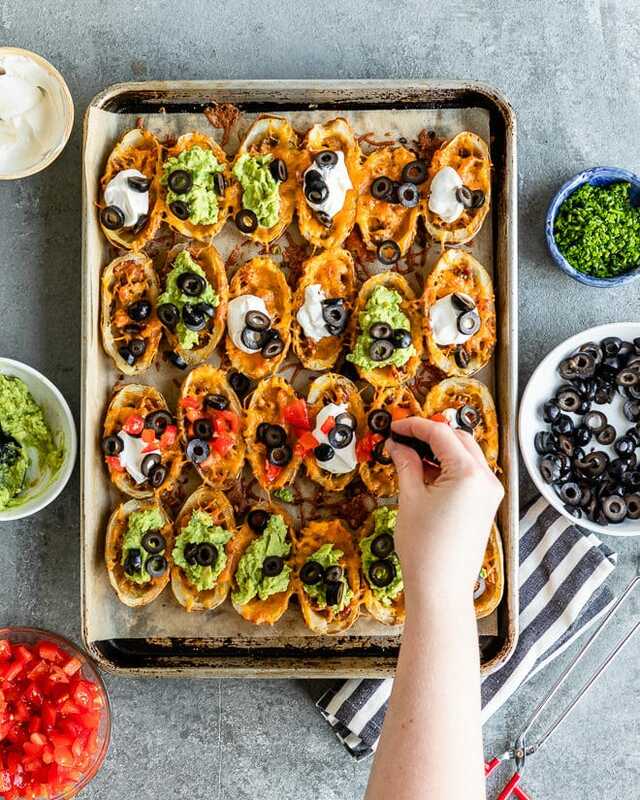 These Baked Potato Skins can be made ahead and customized with your favorite toppings, or double/triple the recipe and feed the whole block. You won’t have leftovers! 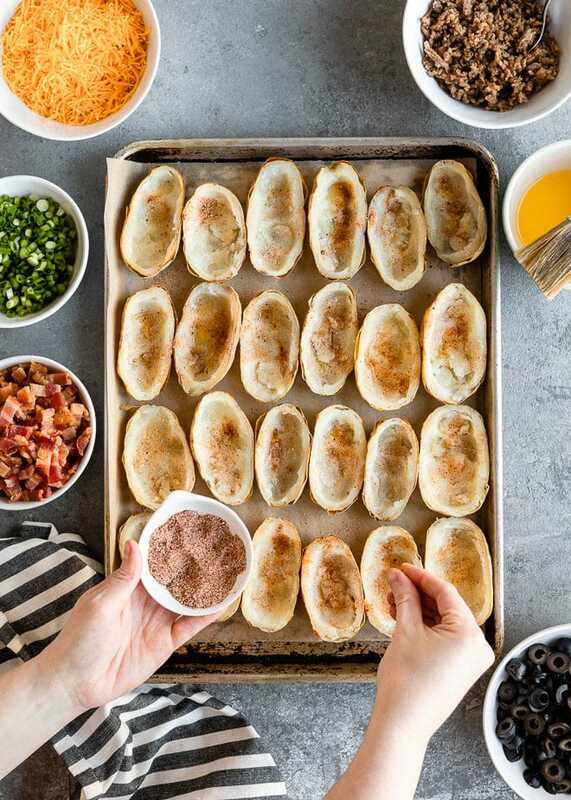 How do you make homemade potato skins? 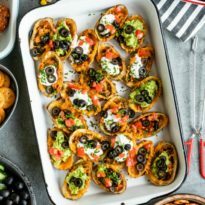 Homemade potato skins are very easy to make! Bake whole potatoes. Cut them in half lengthwise and scoop out the flesh. This is a great time to add flavor, so I brushed the skins with butter and sprinkled them with seasoned salt. Add your favorite toppings – the things you want heated. In my recipe we’re using scallions, bacon, sausage, and cheese. Bake until the toppings are heated through (aka until your cheese is melted). Garnish with more toppings! I like either guacamole or sour cream and a pile of California Ripe Olives. I garnished my baked potato skins with California Ripe Olives because I love that salty, briny flavor. More than 95% of the olives grown in the United States come from California. It makes me so happy to support the 700+ farmers of my state who produce olives (many of whom have been doing so for generations). Whether they have a small, five-acre farm or a 1,000+ acre lot, they all harvest their crop with love, and it shows. Thanks to our beautiful Mediterranean climate in California, California Ripe Olives are always in season. 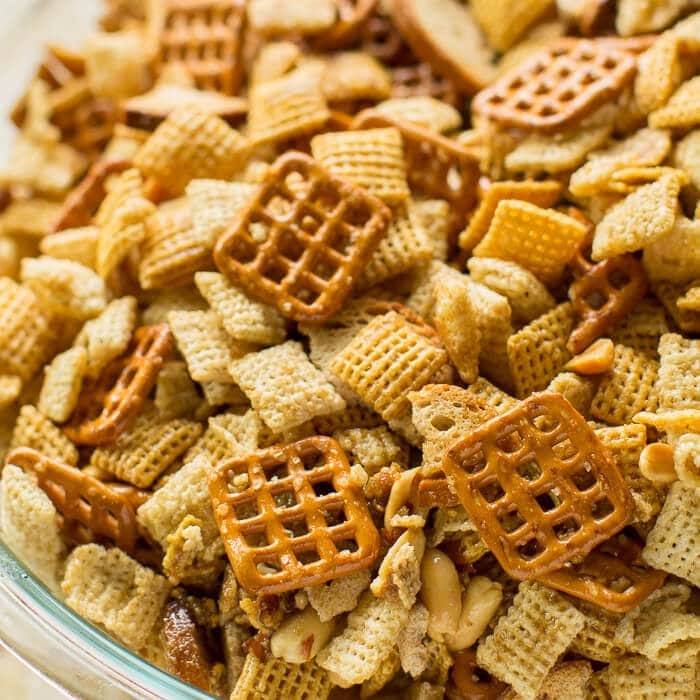 And you can always have them on hand in your pantry, too, for that extra pop of color and flavor. 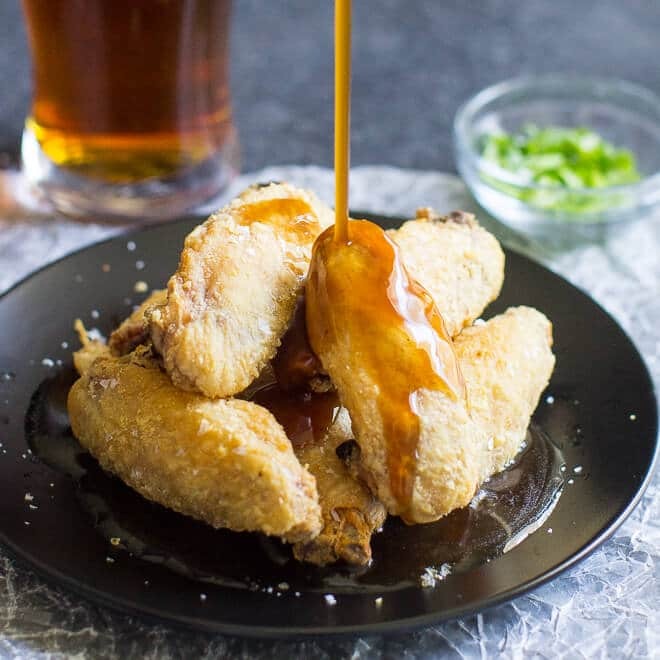 How do I make crispy potato skins? Potato skins start with perfectly baked potatoes. For potato skins, Russet potatoes work best. They have thicker skins, great flavor, and are the perfect size and shape. I prefer to bake them at a high temperature to make sure the skins are extra crisp. We won’t be using the insides of the potatoes, but save them to make mashed potatoes, potato soup, potato rolls, croquettes, and more! 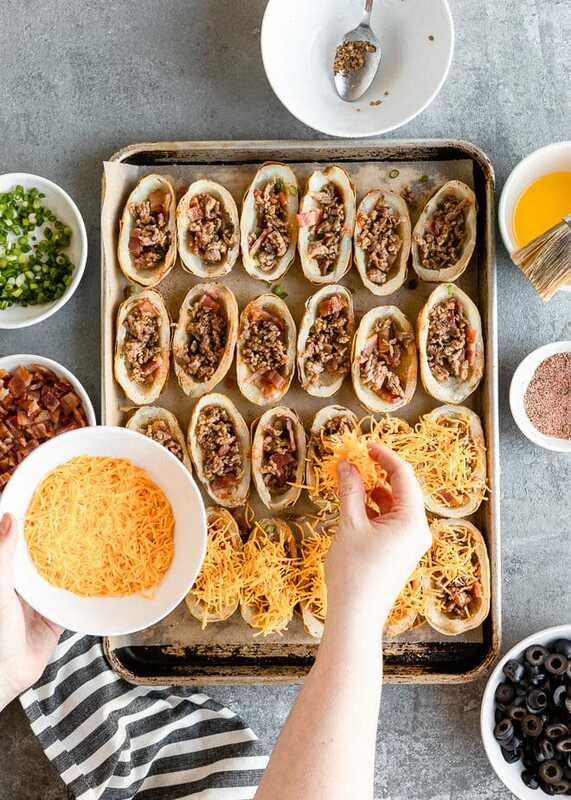 To get potato skins that are extra crispy, we bake them again after adding the toppings. You could also deep-fry the skins. 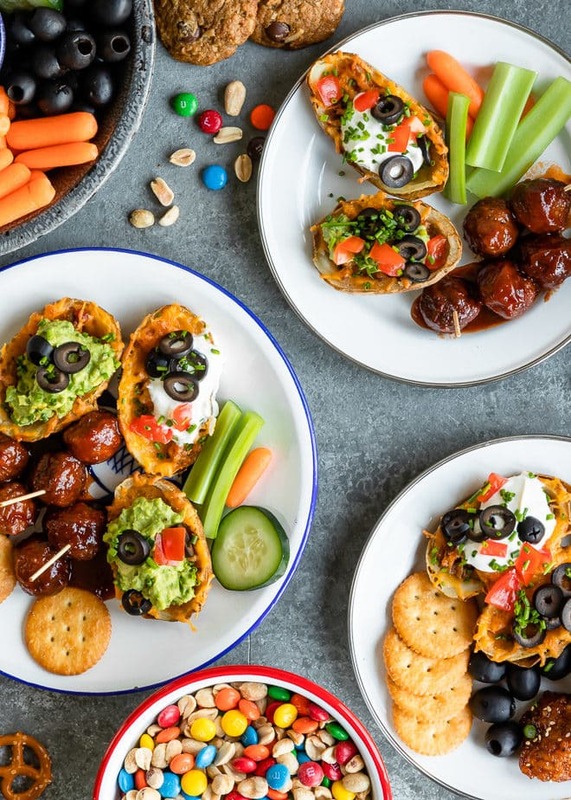 Can potato skins be made ahead? Yes! 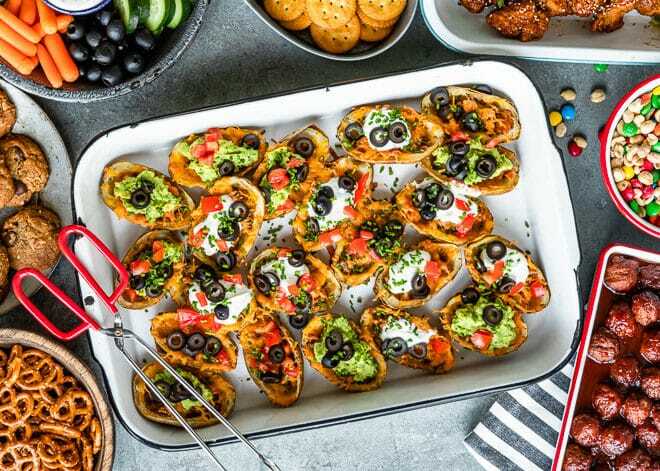 Potato skins can definitely be made ahead. You can bake the potatoes ahead of time (one or two days before) to get that out of the way. Just store the potatoes in the fridge until you’re ready to proceed with the recipe. 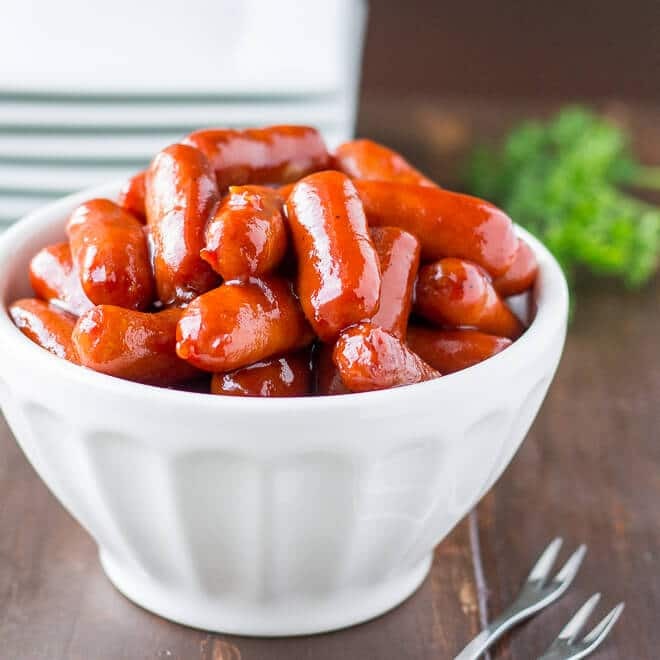 You can also prepare them all the way up to adding the onions, sausage, bacon, and cheese. 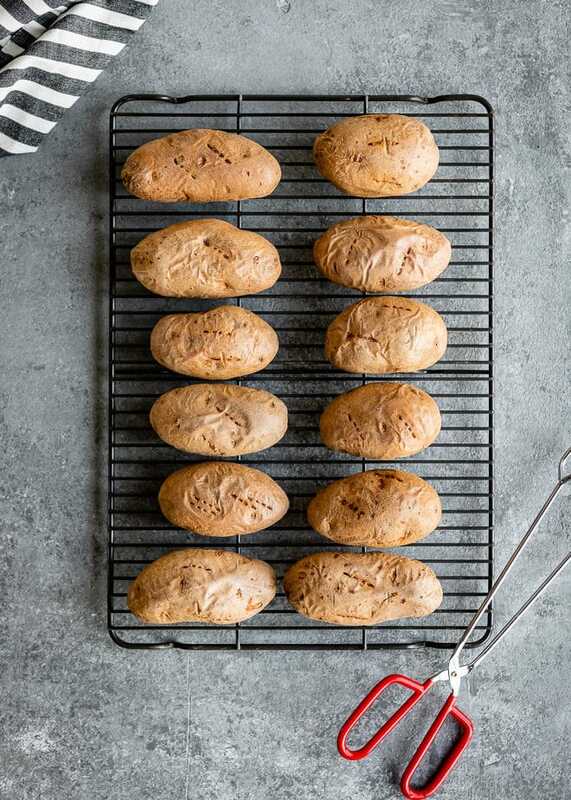 Bake as directed, let cool completely, and store in refrigerator until ready to serve. Just reheat and garnish and you’re good to go. How do you reheat potato skins? Preheat oven to 350 degrees. Place the pre-baked skins on a lined baking sheet. Bake until heated through, about 10 minutes. Is potato skin the healthiest part of the potato? The healthiest part of the russet potato is the skin. It contains vitamins and minerals, such as iron, not to mention dietary fiber. Be sure to follow California Ripe Olives on Facebook, Instagram, Twitter, and Pinterest! 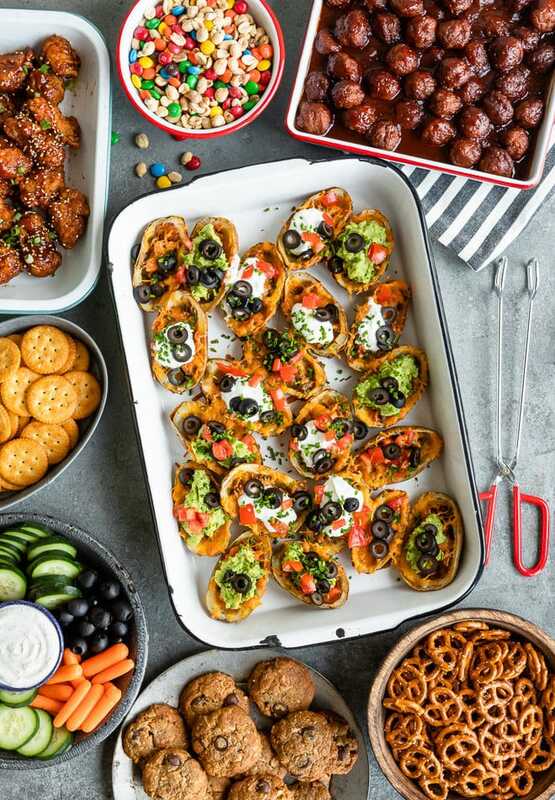 Hearty, delicious appetizers are essential to any party and especially your Game Day spread. 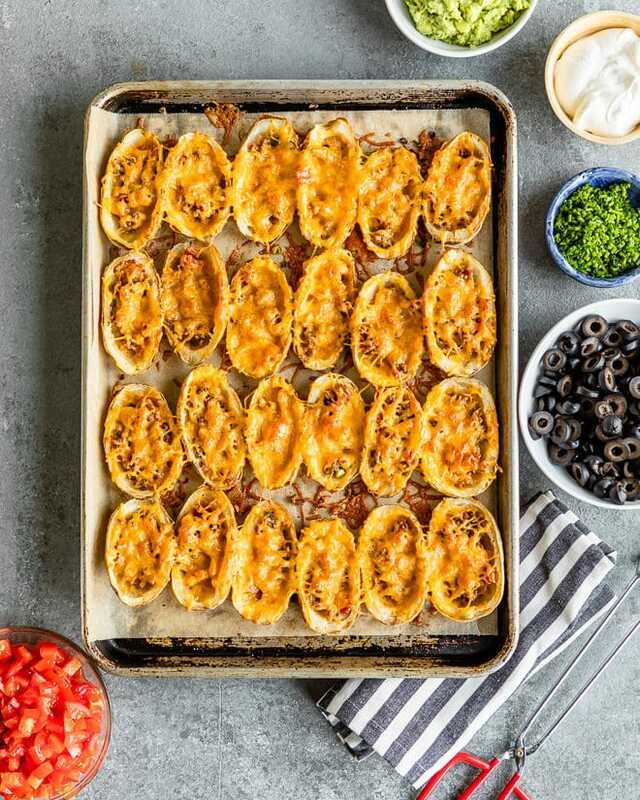 These Baked Potato Skins can be made ahead and customized with your favorite toppings, or double/triple the recipe and feed the whole block. You won't have leftovers! Cut each baked potato in half lengthwise. Scoop out the flesh (reserve for another use), leaving about 1/4" border around the edges and middle.